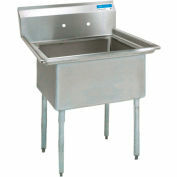 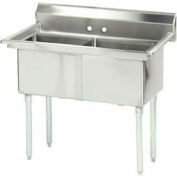 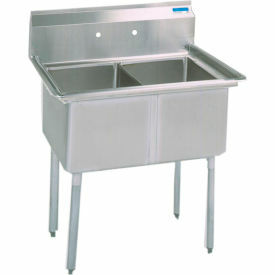 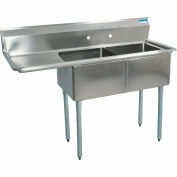 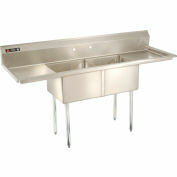 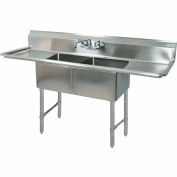 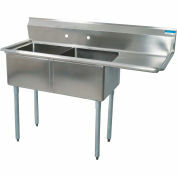 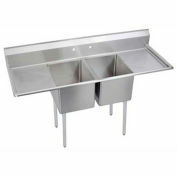 All stainless steel 2-compartment sink with 18" x 18" x 12" deep compartments including drains, 8" o.c. 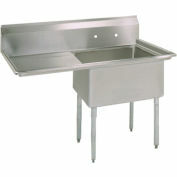 faucet holes, and galvanized legs. 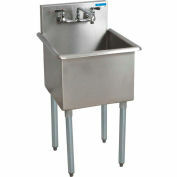 NSF Fabricated 2 Compartment, 24L x 24W Bowl, 8-1/2H Splash,16 Ga.